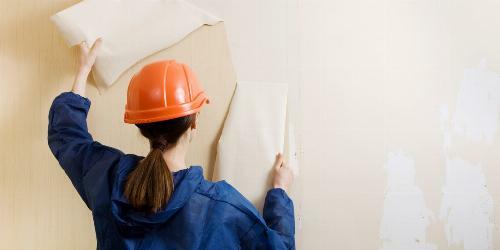 Remodeling a room can get expensive really quick. 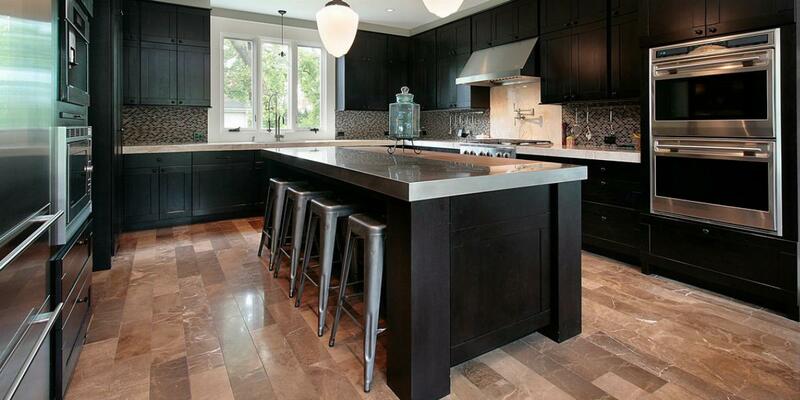 From purchasing new materials to paying for labor, the average kitchen remodel costs $21,751. Removing your old countertop yourself can be a great way to cut project costs. While tearing out countertops isn’t complicated, it does require physical strength – and a little help from your friends. Read on for expert countertop removal tips from Mr. Handyman. Do I Need to Hire a Professional for Countertop Removal? Ready to take on DIY countertop removal? Let’s gear up. *Only required for large or heavy countertops. Before you start, it’s important to remove all countertop appliances and accessories from your work area. Then remove the drawers and items stored in your lower shelving to prevent dust contamination and give you easy access to the countertop. You should also clear the area of food, cookware and utensils for safety. Use an adjustable wrench to turn the emergency shut-off valves on the gas line to your stove to the off position. Make sure electrical outlets are covered and turned off. Disconnect the water lines, drain pipes and garbage disposal to the sink. Place a bucket beneath the pipes to catch any draining water. After disconnecting the drain lines, you’ll need to remove your drop-in fixture or undermount-style sink. Use a chisel or putty knife to wiggle the sink away from the countertop. Spray a caulk softener to help remove the dried adhesive or mortar under the rim. Lift carefully to avoid damaging the sink and surrounding area. Pro-Tip: Sinks can be heavier than you think! For example, a cast iron model can weigh over 100 pounds. Have an assistant on hand to help you lift out the fixture, especially for double-bowl configurations. Now, the main event – taking off the countertop. Spray the adhesive surrounding the edges of the countertop with a caulk softener. Let sit for one hour. Use a putty knife or box cutter to pull the adhesive from the backsplash or wall. Carefully pry your tool of choice under the countertop until it is loose enough to lift. Check underneath your cabinets to see if your kitchen countertop is held in place with screws. If so, use a screwdriver to unfasten them. After that, you should be able to easily lift the countertop without damaging your cabinets. Countertops can also be held in place with brackets, nails or additional adhesive. If this is the case, use a pry bar to gently lift the countertops from under the rim, working your way from one end of the counter to the other. Be patient and – to keep you and your cabinets safe – do not use excessive force on the pry bar. To safely remove a large or heavy countertop, you may need to use a reciprocating saw to cut it into manageable pieces. “Stay safe by wearing safety goggles and a dust mask when cutting countertop sections,” said Sassano. Once the countertops are free from the cabinets and wall, it’s time to lift. Be safe! This step is much easier with at least two people. Make sure to have a roll off dumpster on site to easily dispose of your countertops and other remodeling debris since they won’t be accepted at the curb. What Material Are You Replacing Your Countertops With? Now that your old countertops are gone, it’s time to choose a replacement. With so many options available, it’s difficult to decide which type of countertop is right for you. Use our infographic below to learn the pros and cons of each material. Get Ready to Install New Countertops! Once you’ve tossed the old ones in your dumpster, sweep away any dirt or debris from the area to prepare for new countertop installation. Before you know it, you’ll be showing off your beautiful new kitchen at your next dinner party! Are you removing tile too? Looking for popular kitchen trends? 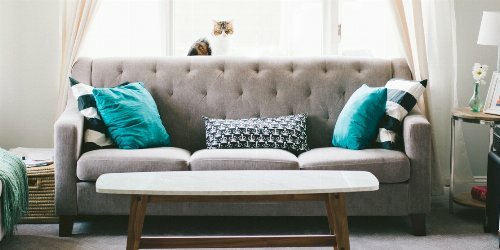 Browse the For the Home section of our blog for DIY projects, home organization advice and more! A healthy home means a healthy family. Follow this healthy home checklist to keep dust, mold and other disease-carrying toxins away.